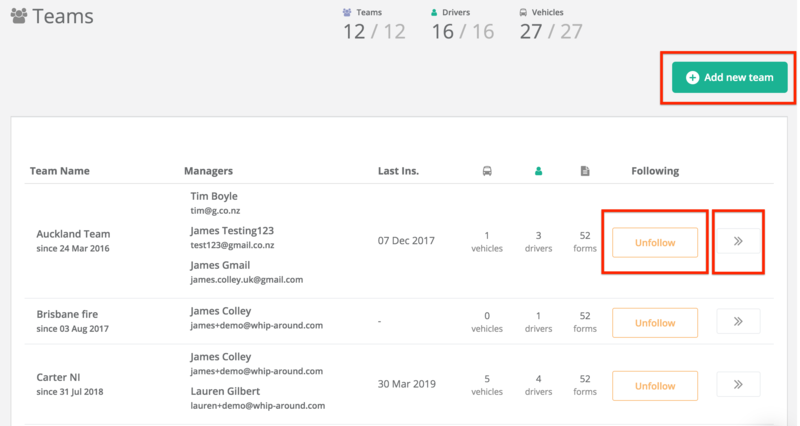 The Whip Around 'Teams' module enables you to group drivers and vehicles into different 'teams' so you can quickly bring up data in the dashboard based on the different locations and divisions your drivers and vehicles work in. You can access 'Teams' by logging in here. What you can do with the 'Teams' module! You can add as many teams as you like on a paid plan by clicking 'Add new team'. Learn more about adding a new team here. 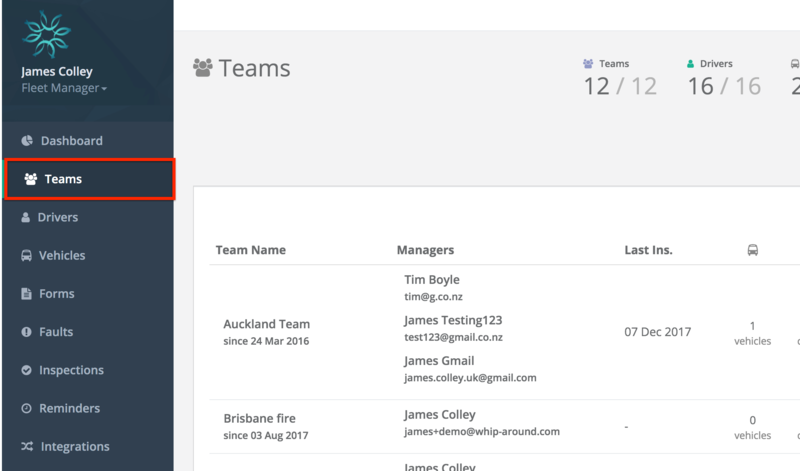 The Follow and Unfollow buttons allow you see the individual team or multiple team's data across the Whip Around dashboard. Great for analysing each location or division and only giving managers and mechanics the information they need to run their part of the business. To learn more about the 'Follow' and 'Unfollow' buttons for teams click here. You can view and edit each teams profile. To learn more about editing a team click here.